All this week, TPG contributor Jason Steele will be covering Green Dot MoneyPaks and how you can maximize the points and miles you earn using them. In Part 1 of his series he introduced us to Green Dot and covered the basics of prepaid reloadable cards. In the second post, he compared Green Dot to Vanilla Reloads. In today’s post, he’ll be taking a look at the reloadable prepaid cards that are compatible with Green Dot and how you can choose the best ones for your needs. AccountNow Silver: This is the first card I tried, and I have never had any problems with it. The silver version has a one-time $4.95 activation fee, but no monthly fees or bill payment fees. Just note: there is a $1.00 fee for retail purchases, but I never use the card for anything other than bill payments. The load limits are $1,500 per day and $9,500 per month on a rolling 30-day basis. In addition to Green Dot, this product is also compatible with money packs from the Reloadit network. The load limits apply to funds loaded from both the Green Dot and Reloadit networks. 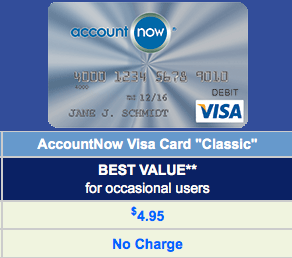 The AccountNow Silver is a good option because it doesn’t charge a monthly fee. I have not been able to obtain more than one card in my name. Finally, their Refer-a-Friend program offers the referrer $20 and the new cardholder $10, which is the most generous offer I am aware of. Just avoid the Gold version of this card which has a monthly fee of $9.95. The load limits are the same, but there is no $1.00 fee per retail purchase. Rushcard: This card offers $1,000 daily load limits on reload cards, with no monthly load limit. So in effect, one could load approximately $30,000 each month. The downside is that funds are not immediately made available. Their policy is to make funds available “Usually within one (1) hour, but no later than the next business day.” In my experience, it takes one to two hours before the funds appear in my account, and you are notified by email. Choose the Pay As You Go Plan and there is no monthly fee or bill pay fee, but there is a one-time card fee of $3.95-$9.95, depending on which card design you choose. Their Refer-A-Friend program offers to add five dollars to your account per friend you refer who signs up. Ruschard doesn’t have load limits, and offers referral bonuses. H&R Block Emerald Prepaid MasterCard: Although I haven’t tried it yet, my contact at H&R Block recently informed me that “This card is actually one of the longest-tenured card that leads the industry in total dollars loaded and highest dollar value of total transactions.” That is believable considering that their customers frequently use this card to receive tax rebates. These cards are offered to their tax preparation customers, but according to their web site anyone can apply for this card at an H&R Block office year round. There is a limit of four loads per day, so that equates to $2,000 worth of Money Paks, and it includes free bill pay. There does not appear to be a referral program. American Express Serve: This card is compatible with the Green Dot Money Pak network, but it does not offer bill pay. Instead, cardholders can cash out their balance by transferring funds to a linked bank account. According to their web site, “You can transfer money from your Serve Account to a linked bank account by logging in and clicking Withdraw Money”. Bluebird has a similar feature that I have used successfully, so with this functionality, there is no point in visiting an ATM. There is a $500 daily load limit for Green Dot Money Paks, and a $2,500 monthly load limit. There is no referral bonus that I am aware of. 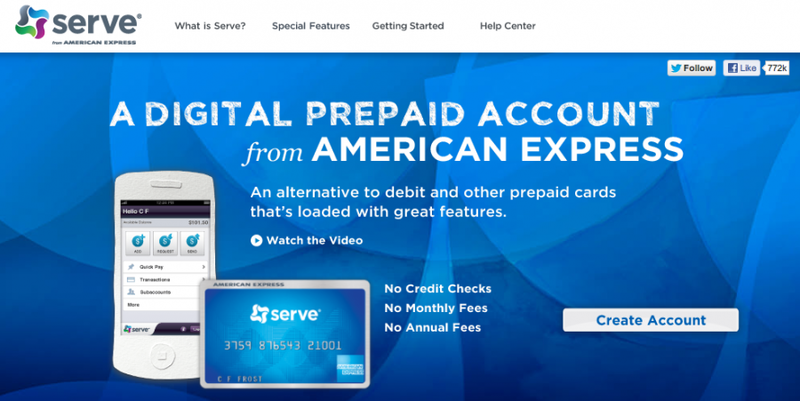 Amex’s Serve card lets you transfer funds to linked bank accounts. Serve does not accept Vanilla Reloads. Finally, you cannot have both a Bluebird card and a Serve card in the same name, although some have commented that you can cancel one and apply for the other. I haven’t investigated or researched all of the Green Dot-compatible cards available since there are approximately 200 of them. In addition, many of them seem to be payroll delivery products unavailable to the public. The 247 card had been one of my favorites, but it no longer offers new applicants the pay-as-you-go option with no monthly fee. Also, avoid the prepaid debit card from Green Dot itself (a different product than the Green Dot Money Pak), as it has a monthly fee of $5.95 and there are numerous reports of them shutting down cardholders who comply with their written terms, but not their unwritten ones. Tomorrow, I will delve into some strategies I use that will help you make the most of Green Dot MoneyPaks. Have you tried any other cards? What has been your experience?